There’s no proper answer to the question, “What’s the best vehicle for the track?” It’s a great way to start a heated debate, however. Open-wheel fanatics can’t fathom why you’d want to screw up the sacred purity of a race car by adding fenders and doors. Meanwhile, stock car advocates find anything short of V8 power and six tiers of cage-enforced crash protection to be ludicrous. Then there are the guys who race those massive, six-ton MAN semi-truck cabs around European road courses. They probably just guffaw every time they see something as puny as a car going around a track. Then they finish their steins of mead in single manly gulps. Even with so many possible styles, makes, models, layouts and drivetrains, those who spend a lot of time at the track tend to become jaded to the usual suspects. Hey, look, another low, powerful sports car decorated with wings—won’t someone dare to be different? 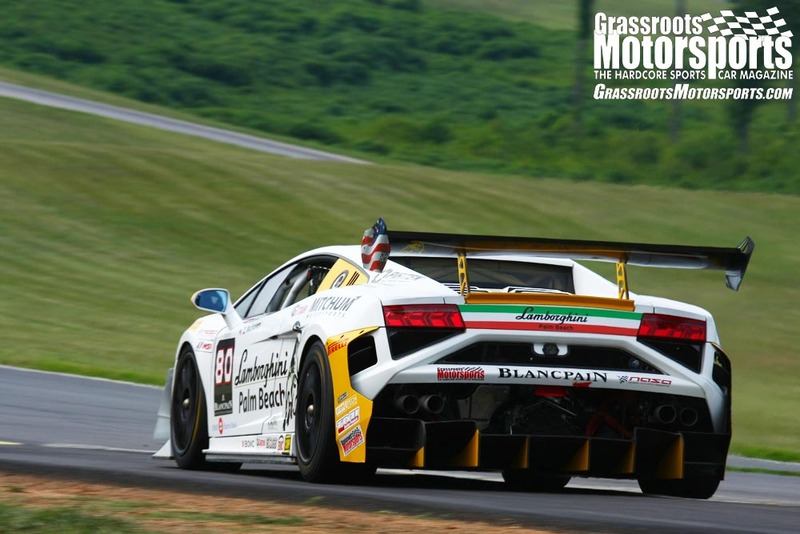 That’s why we were so excited when we saw what James Clay and Dave Blum were planning on bringing to our first-ever Hankook Ultimate Track Car Challenge. Maybe we spent too many hours in the gunner’s seat playing out-of-state license plate bingo, but station wagons make us giddy. And they showed up with two. Both James and Dave competed in the Shop Varsity class for professionally prepared high-powered racers. Their creations finished well and earned them much applause from the corner workers at the UTCC. 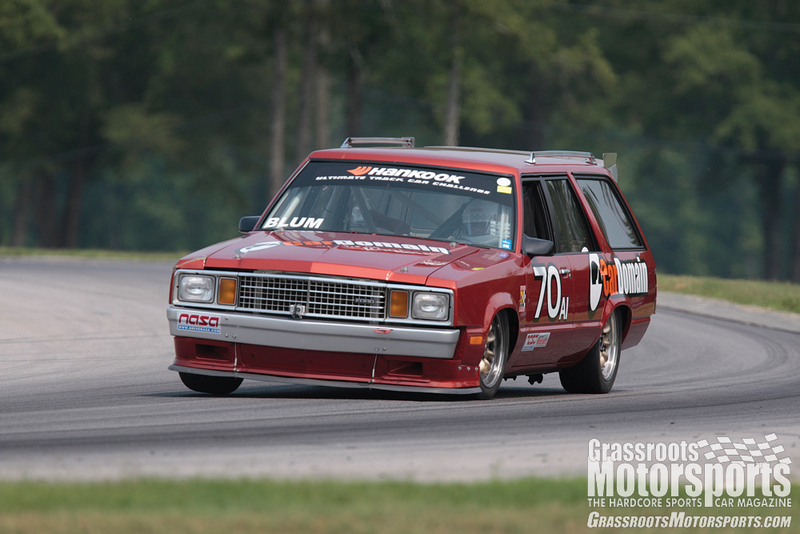 Whether you call them tourings, estates, shooting brakes or just station wagons, nothing raises more eyebrows at a race track than a rip-snortin’ grocery getter from hell tearing it up at maximum attack. If Clark Griswold had heeded the call of the checkered flag, he might have sold the Family Truckster and ended up with something like Dave Blum’s Ford Fairmont. It started life as a Fox-chassis 1985 Ford LTD wagon and was transformed over a period of eight years into a 1978 Ford Fairmont track toy. Before he started work on his Fairmont project, Dave’s track toy was a Fox-chassis 1989 Ford Mustang LX that had spent its earlier years as an IMSA Firehawk car. Unfortunately, he and the ’Stang never quite came to terms. “I had a bunch of parts for it, and it broke in just about every place you can break one of those cars,” he reports. 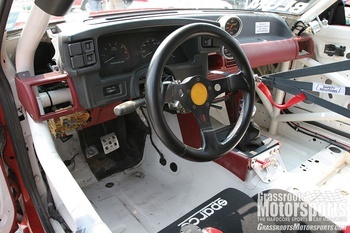 Victims included torque boxes, control arms, upper strut towers, and even the crossmember to which the seats are bolted. “It was crap on a subatomic level,” Dave quips. Unfortunately, finding a genuine Fairmont wagon in anything close to good shape proved to be very difficult. Rather than give up, Dave decided to make his own. Ford sold the Fox-chassis Fairmont from 1978 until 1983. For a couple of years before it went away, the Fairmont was sold alongside the very similar Granada. Then, in 1983, Ford shuffled things around again by dropping the Fairmont name, reskinning the Granada lineup and rebadging the lot under the Ford LTD name. Earlier, LTD had applied to the big-boy Ford sedans and wagons, but those full-sized cars had taken on the Crown Victoria name by this time. Despite the name shuffling and sheet metal changes, Ford LTD wagons of the mid-’80s were all but identical under the skin to the original 1978 Ford Fairmont wagon. Knowing this, Dave found a suitable six-cylinder 1985 LTD wagon for $200 and then located the Ford Fairmont sheet metal at a local scrapyard. Dave spends his days working at Apex Vintage, a specialty sports car service and repair shop in Raleigh, N.C. At Apex, Dave helps make other people’s automotive dreams come true. The Fairmont was a side project that he worked on after hours. Most of the major go-fast parts for Dave’s Fairmont came directly from his Mustang, including a balanced and blueprinted 347-cubic-inch V8 fitted with a Ford Motorsport intake, injectors and B303 cam. A shortened aluminum driveshaft from a Crown Vic connects the high-mileage BorgWarner T5 transmission to an 8.8-inch rear end. Dave went outside the Ford parts bin on several occasions, too. To slow down this beast, he installed Corvette discs matched with massive Baer Brakes calipers front and rear. Griggs GR-40 suspension components mated to Koni dampers were a direct fit on the wagon and dramatically improved its handling characteristics. To reduce the weight, Dave cut the side impact beams out of the doors—after all, the eight-point cage made them redundant. The hood and bumper were fabricated out of fiberglass, and he replaced the glass with Lexan. In an effort to improve the wagon’s aerodynamics, Dave got creative with the nose. The front lower valence is a modified section of the bumper cover from a Honda Odyssey minivan, and the splitter is formed from the top half of a Volvo 850’s front bumper. The entire bumper and splitter assembly is attached to the car with four nuts and some Dzus fasteners to allow for quick and easy trailer loading. Finally, Dave fabricated an adjustable wicker to improve airflow at the tail end. The distinctive paint—Prowler Orange—comes from the Chrysler palette. The end result is legal for NASA’s American Iron series, and Dave has also been able to run it with BMW CCA, PCA and even the SVRA. What’s more, Dave has kept his Fairmont legal for street use, so when his daily driver isn’t cooperating he fires up the wagon and takes it to work. As the founder and owner of the BMW performance shop and racing dynamo that is BimmerWorld, James Clay knows a thing or two about making BMWs go fast around a track. 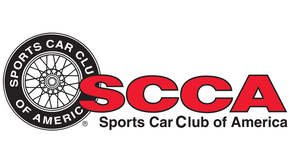 He got his racing start 10 years ago with the BMW CCA, and has since risen through the ranks to compete in the Speed World Challenge, where he has several top-five finishes to his name. Unfortunately for James, BMW has been pretty stingy when it comes to selling their wagon models in America. Many years ago James laid eyes on an E36-chassis wagon, and he pined for one ever since. He ultimately found one, but not without some international legwork. “I bought this European-only body style BMW Touring from a friend in Sweden who located it for me after two years of digging,” he says of his 1995 wagon. James was only interested in an extremely clean car with no rust, a tall order when shopping for BMWs that are typically used by families banging around the Alps. When the friend finally located the right car, he disassembled it and placed all of the parts in a shipping container. He sent it off to James at his BimmerWorld shop in the U.S.
Once the car was in the shop, the wagon fanatic in James started conspiring with the performance nut residing elsewhere in his brain. This humble 2-liter BMW Touring wasn’t going to be humble for long. Any chance this 320i Touring had of living a tame life ended when James started tinkering under the hood. 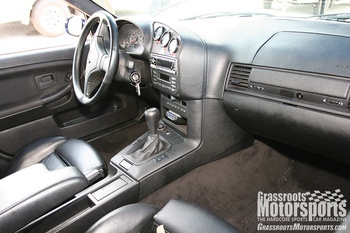 Out came the 1991cc inline-six, and in went a low-compression 3.2-liter six from an E36-chassis BMW M3 that had been built by Sunbelt Performance Engines. As if that weren’t enough, the team fabricated a true 6-into-1 top-mount tubular manifold that plugged into a Garrett GT40R turbocharger. 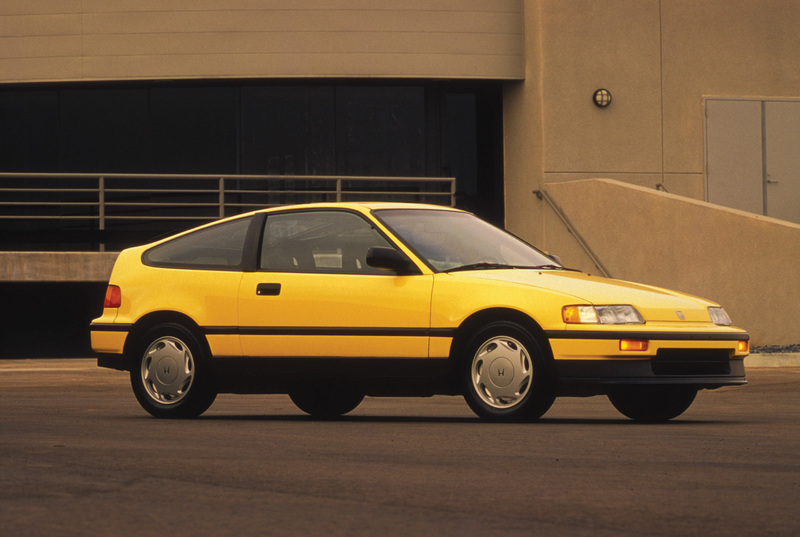 Going with such a potent engine wasn’t without its headaches. The biggest issue James encountered was, not surprisingly, heat under the hood. The initial temperature control plans called for a 57mm-thick PWR Performance Products radiator and a big, two-pass, Fluidyne tank-style oil cooler, but that turned out to be just a starting point. “In the first track test we melted lots of stuff,” recalls James, “plus the engine was running at 220 [degrees Fahrenheit] and climbing.” They swapped to a single-pass, Setrab plate-style oil cooler that was larger than the Fluidyne unit, and then went to work physically corralling the heat. “We were fanatical about coatings and wraps,” James explains. “The downpipe and intercooler pipes use a Jet-Hot Extreme Sterling coating, while the manifold and turbo exhaust housing use a higher-temp Jet-Hot 2000 coating.” The latter is designed to protect substrates at temperatures up to 2450 degrees Fahrenheit. Another less dire snag was finding room for the air filter. With so much space being gobbled up by the top-mount turbo and the Euro-spec self-leveling headlights, there wasn’t much room for a filter. James almost gave up on his hopes for a stock exterior and considered putting a bubble in the hood, but a few hours of tinkering led to an air intake design that fit. With a new heart generating as much as five times the stock engine’s output, the rest of the modifications could almost be viewed as simple safety necessities to keep the thing from being a one-way express to the tire wall. The brakes, suspension, safety gear and more would have to be dramatically improved. Good thing BimmerWorld is a pro race shop. A quick glance at the spec box will confirm that James and the BimmerWorld team left no essential component unimproved, and they didn’t skimp on the important bits. For brakes, James chose the same Performance Friction zr28 zero-flex monobloc calipers that are used in Champ Car and on the BimmerWorld World Challenge racers. Traction was similarly upgraded thanks to 18x9-inch D-Force wheels wrapped in 245mm-wide, C50-compound Hankook Z214 DOT racing tires. 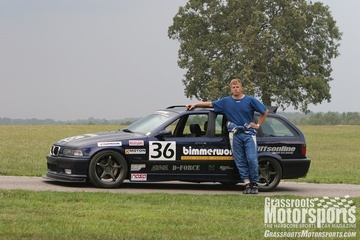 The list is long, with Moton dampers, Ground Control springs and Arrow connecting rods; true to its owner’s word, the BimmerWorld Überwagon is a rolling showcase for the team’s sponsors. There’s nothing frivolous, either, as every upgrade addressed a particular need. Some of these needs only became obvious as the project neared completion. James didn’t want any aero work to detract from the car’s basic shape, but he also didn’t want to loop the car at more than 160 mph when running under full boost. The result was a low-profile removable aluminum spoiler fabricated the night before the UTCC. The Überwagon made its competition debut at GRM’s Hankook Ultimate Track Car Challenge, but a top-10 overall finish was not to be. A finicky wastegate was causing overboost issues, and the head gasket simply couldn’t handle the extreme pressure. The gasket was going soft, and after the second timed session James decided to pack it in for the day rather than cause a more serious problem by pushing the issue. 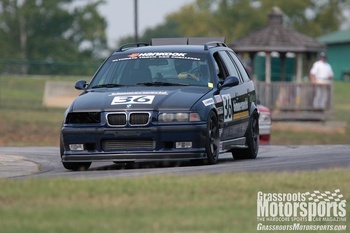 Still, this monster BMW wagon managed an 11th-place finish with an impressive 1:39.734 lap on the VIR North Course. In the months since the UTC Challenge, James has swapped the head gasket, upgraded the boost reference lines to braided stainless and added even more insulation. He’s also switched to a carbon fiber hood. In the 1980s and ’90s, Volvo enjoyed plenty of commercial success selling safe, boxy cars. Many of the Volvos sold during these decades were of the extremely boxy wagon variety. Fortunately, the extra cargo space didn’t kill their fun-to-drive factor. All that changed in 1994 when Tom Walkinshaw Racing decided to campaign a Volvo 850 estate wagon in the popular British Touring Car Championship. The sporting press went wild at the prospect—and the inherent coolness—of turning a wagon into a race car. The program was a massive PR success for Volvo and TWR even before the car had taken its first green flag. 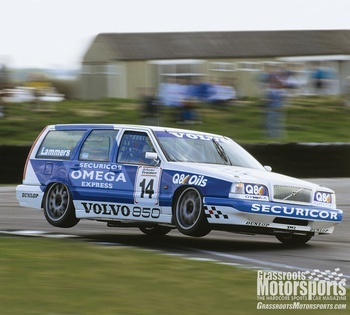 Clad in blue and white with massive five-spoke alloys, the low-slung Volvo 850 race wagons looked very angry. Best of all, the looks weren’t a facade, since the boxes proved to be fairly competitive in the series. With Rickard Rydell and Jan Lammers at the wheel, the Volvos drove to a best qualifying spot of third and a best race finish of fifth overall in the development year, giving Volvo a sixth place in the constructor’s championship. Unfortunately for the wagons, the FIA changed the rules for 1995, allowing the addition of aerodynamic aids. However, because of the way the rules were written, the wagons were dealt a massive handicap: They could no longer run a wing. Volvo was forced to switch to the 850 sedan, but the development season with the wagon had paid off. They found five wins in 1995, followed by eight victories in 1996. Join Free Join our community to easily find more BMW, Ford and Volvo articles. There is always a place that you can go to if you want to race your car, no matter what car you've got. 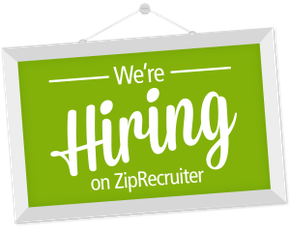 You just need to look around and ask the community where they go and follow suit. Best not to bite of more you chew of course. No point to race a station wagon with super cars if you know what I mean.